Stress is already a part of us. It is inevitable but we can manage it in different ways. Let's take for example the Filipino workers with 9-6 pm jobs. Their day begins with an average of two-hour commute to the office and another two-hour commute to get home. Can you see the picture? Days begin with stress and ends with stress! I'm a stay at home mom and I'm experiencing stress too! From daily routine house chores to parenting and daughter duties, I experience stress every day. To keep me sane, I look for ways on how to cope and manage it. Some people enjoy a nice dessert, go for a workout, watch a movie, or spend time with friends and family. These are effective but not accessible immediately, right? There's one thing that young professionals including me have in our bags or pockets- a soothing balm that comes in many forms. The trending now- aromatherapy oil! I'm one of the many Filipinos who finds comfort in soothing balms. It's my quick relief from a headache and nausea. Some use it to comfort sore muscles, stiffness, bruising, or sprains and strains. While some still resort to medication, others continue the tradition of using soothing balms that have been passed on to generations. Camphor or menthol is the comment scent used in balms as it gives relaxation to users but there are many users who would wish for smells that aren’t as overbearing. 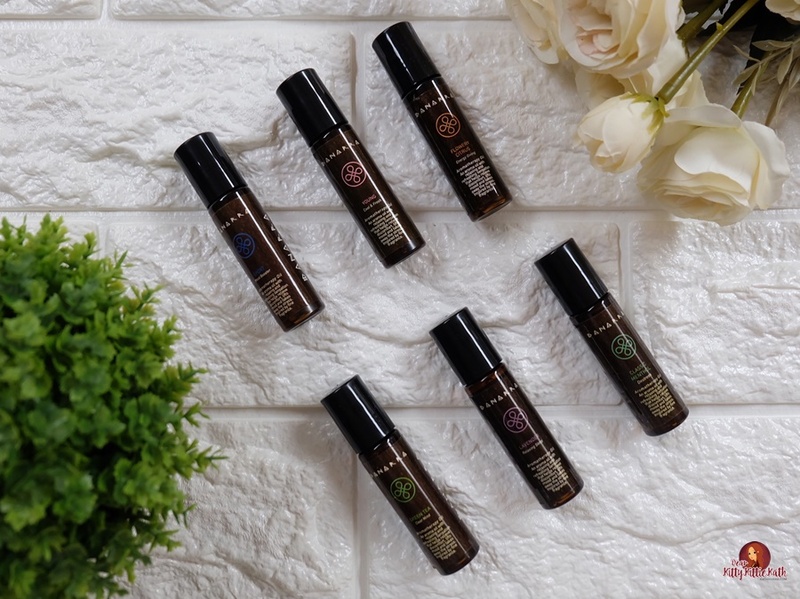 This dilemma is what gave birth to Danarra Aromatherapy Oil! The name Danarra is derived from the word “Nadarra,” which, in the Scottish Gaelic vocabulary means “natural.” Celtic knots were chosen to become its symbol because Danarra and the Celtic knots connote interconnectedness between a person and nature. Same benefits of other soothing balm BUT with the added bonus of fine fragrance oils. It gives an enhanced relaxing effect because of the refreshing fragrances. This oil helps boost mental activity, provide a calming effect, helps relieve a headache and nervous exhaustion and restlessness, make you feel fresh and energized, lift your mood and relieve stress. Danarra Aromatherapy Oil is available in six variants. It is packaged in a sleek and handy roll-on bottle for a more convenient, purse- and pocket-friendly use (no spills or leaks) — just perfect for students and professionals on the go! Danarra Classic Menthol (Destress)- gives instant relief in the traditional and familiar camphor scent. It can provide sinus care and help with motion sickness and itchiness due to insect bites. Danarra Green Tea (Clear Mind)- helps to relax, calm and soothe you making you feel fresh and energized. Danarra Lavender (Relaxing Sleep)- help eliminates nervous tension and aids in providing relaxing sleep. Perfect for insomniacs. Danarra Young (Cool and Fresh)- has the cool wind effect and freshness of air. It is perfect for moments when your senses are hit by unpleasant aromas. Danarra Flowery Citrus (Energy Giving)- uplifts your spirit with a hint of citrus and flowers. Danarra Sports (Mood Booster)- perfect for your active lifestyle. instructions for use: Apply directed on affected areas as often as necessary. I apply it on my forehead, under my nostrils, behind my ears, and under my chin, if needed. It comes in a simple roll-on bottle packaging. There are six variants available for every kind stressors. Danarra Aromatherapy Oil puts importance in attaining relief as naturally as possible. I like the scents because it's really soothing and relaxing. It's not overpowering. Fits my pocket and I can bring it anytime, anywhere. It gives a cooling sensation that doesn't irritate my skin even if I accidentally rub a lot of product. There are batch, manufacturing, and expiry date printed on the bottle. It's effective! The lavender helps me relax and fall asleep at night immediately. I give this a 5/5 rating. This is the cheapest brands of aromatherapy oil that I have tried to date. I like that it gives a cooling and relaxing sensation upon application. No overpowering scent and the funky smelling fragrance. I like that it's easily available and very affordable. 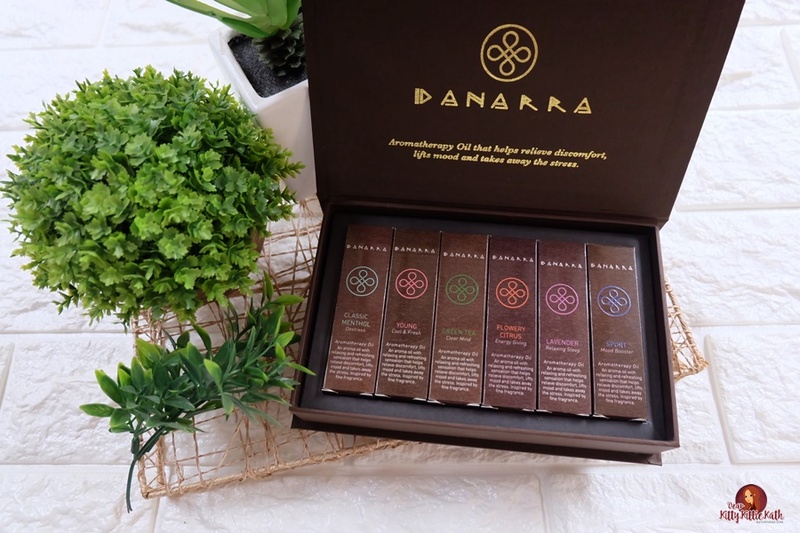 If you're someone like me who finds comfort in soothing balms and oils to a relieve a headache and other kinds of minor pains, try this aromatherapy oil from Danarra. I'm totally impressed after using it for days now. I have all the variants and you can see one at bedside, two near my laptop, and another bottle inside my bag. 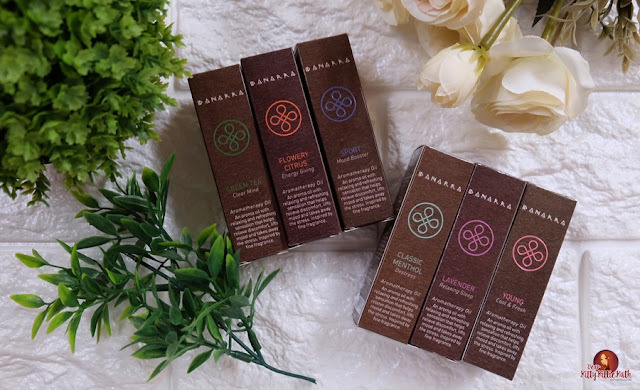 Have you tried this aromatherapy oils from Danarra? Which one is your fave? Yay! No worries and hope your office mates will like too. Let us know what variant you like :) You're welcome!!! May box set ba na available? You have to buy it individually. Walang binibenta per box. CIELO JONNA: i need this! Lalo na sa mga mommies gaya natin momshie. I so agree!!! need talaga lahat ng klase ng pampa relax. So glad to have discovered this oil while I was inside Watsons. I bought it for 95 pesos. Since then, this has been my perfect companion especially at work and before I sleep.